here i am, sneaking in one last post before the end of the month!! its been quite busy at kpixie… the clenching of the teeth in my sleep has subsided to a nominal grind, and i’m moving on with yarn dreams and autumn fun! and ps. 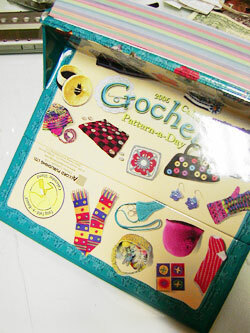 it’s $13.99 for 365 PATTERNS!! 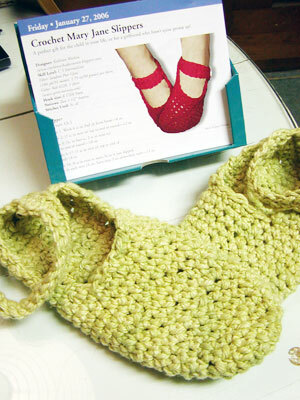 I was wondering if there is anyway to get the pattern for the maryjane slippers that was published in the 2006 calendar? I have the 2007 calendar but not the 2006.